MPS, Terrorism and THIRD PARTY TONER: If by Third Party, You Mean "Manipulated"
Somebody get Mulder and Scully out of retirement. "At least two U.S. airports were on high alert Friday after investigators found a suspicious package on a plane in the United Kingdom the night before, a law enforcement source with detailed knowledge of the investigation said." The suspicious package, which contained a "manipulated" toner cartridge, tested negative for explosive material, the source said, but it led to heightened inspection of arriving cargo flights in Newark, New Jersey, and Philadelphia, Pennsylvania, and a UPS truck in New York. 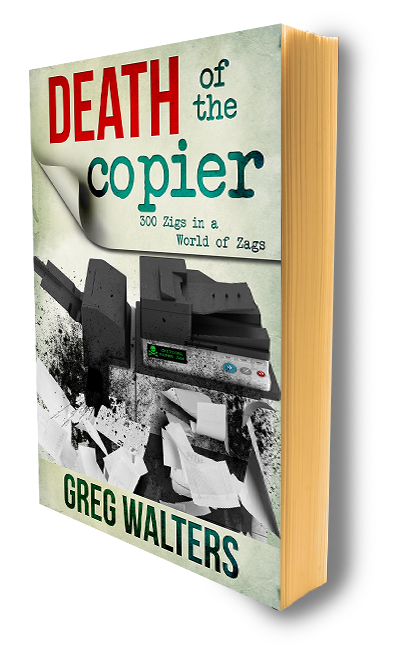 For over a year, I have been kicking around the idea of a novel - in this figment, I envision third-world Evil Doers tainting toner cartridges with a heat activated, slow burn, killer virus. This contaminant, after melting on the surface, infects at the touch - talk about "the hidden cost of printing". Well, today, Stage 1 MPS has been dragged into the international spotlight. News agencies are reporting a "manipulated toner cartridge" found on a UPS plane, contributed to elevating the threat level to "High" in the airline sector. 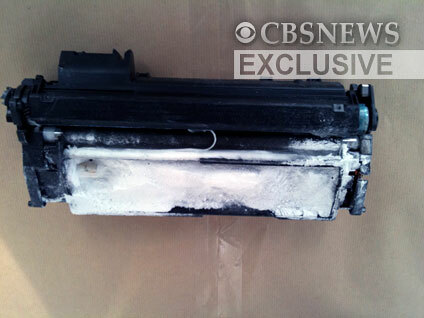 Reports say that indeed two explosive devices were found, one on a plane in London - disguised as a "toner cartridge". Here.